Rabbit Hutches – How To Plan Best Home for Your Bunnies? 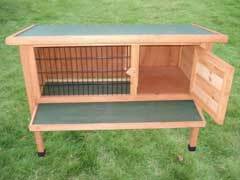 Rabbit hutches are a great way to cage your rabbit outdoors where they feel the best. 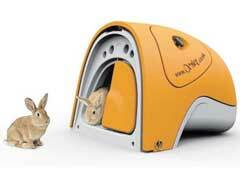 Because they will be outdoors, it is important that their hutches can protect them from the outdoors. 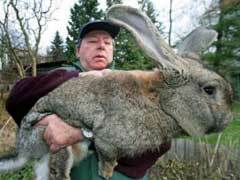 Weather and predators are the two worst enemies of outdoor rabbits. Just like rabbit cages, hutches need to provide plenty of space for movement and accessories such as food bowls and litter boxes. There are a number of rabbit hutches available for purchase through your local pet store, but many people decide to build their own. When buying a new pet it is always important to know all the supplies you’ll need to care for them. Caring for rabbits is no different. 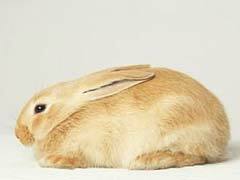 Rabbits have specific needs that, while similar to other pets, are distinctive of rabbits. Your first step should be reviewing rabbit cages. Depending on the breed of rabbit, or hare, you plan to keep; you will need a cage big enough to give them plenty of room to move about. 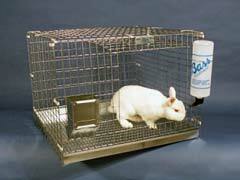 Rabbit cages should also be made of metal, rabbits chew just about everything they can and that includes their cage. A metal cage will hold up to chewing and discourage chewing in the first place.